Which popular Alaska pizzeria should you dine at? When you think of pizza, the first thing that might come to mind is the huge slices you can get on the streets of New York City. What if we told you Alaska’s best kept secret is being home to some of the best pizza in the country? 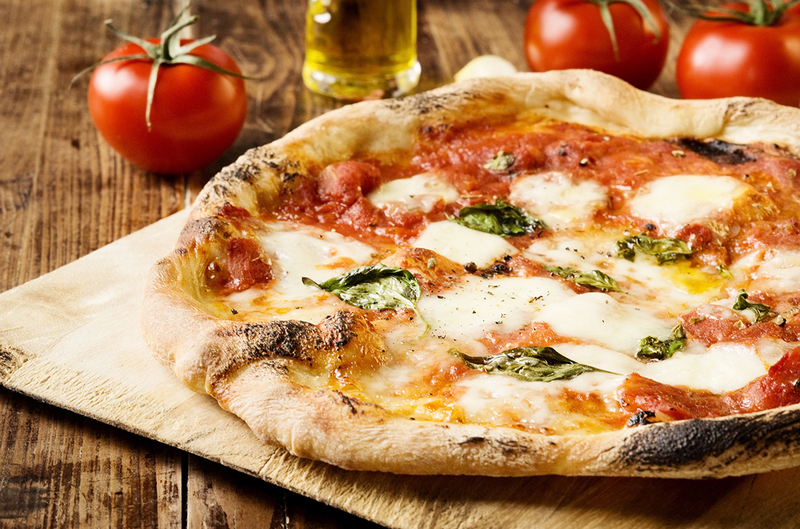 Whether you’re a local or a visitor planning a Gray Line Alaska trip this summer, take this fun quiz to see which of the state’s popular pizzerias will satisfy your taste buds. 1) On a scale of cheese to anchovies, how adventurous are you when it comes to trying something new? 2) What’s your favorite decade so far? 3) Which of these activities appeals to you the most? 4) How would you like to get around the 49th state? 5) Out of these well-known Alaska animals, which would you consider to be your spirit animal? Head south from Anchorage on the Seward Highway to Kenai to find this pizzeria. Facebook reviews give it nearly 5 stars, and for good reason. B&H Pizza is not only known for its delicious and affordable pies, but also for its fast delivery and friendly staff. If you’re just stopping in for a quick snack, they also have a great variety of pizza-by-the-slice options. A quick, 20-minute drive north of downtown Anchorage will get you to this popular pizzeria in Eagle River. Pizza Man has a little something for everyone with a full menu that’s sure to make your mouth water. Every week, they post specials that sometimes include crazy creations like their Thanksgiving Pizza. If you’re heading north, be sure to stop into Mountain High Pizza Pie in Talkeetna. TripAdvisor gives it nearly five stars and many of its critics claim it’s the best pizza north of Anchorage. Here, you can get anything from your traditional pepperoni pizza to the signature “Mountain High Pizza Pie,” featuring more than 30 toppings! This nationally recognized pizzeria is not afraid to get creative with its pizzas. Moose’s Tooth was voted one of TripAdvisor’s best pizza joints in the country ­– and the lines to get inside show it. From the pizza names to their toppings, a visit to Moose’s Tooth is sure to be a memorable experience. Don’t forget to wash down their signature slices with a pint from the local Broken Tooth Brewery. The restaurant features a beer of the month alongside cream soda and root beer for the kiddos.